Generally bounded by C Ave., the alley S of Sherman, Washington and Poplar Sts. 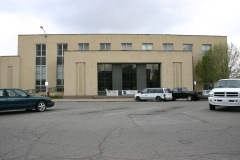 The Hamlin Block building's name reflects its original owner, Martimer Hamlin, a Connecticut-born carriage maker who likely chose the property for its vicinity to the two nearby rail lines as well as an area traditionally dominated by industrial activities. It was designed to accommodate changing uses over time and the occupants of the two first-floor commercial spaces changed often. 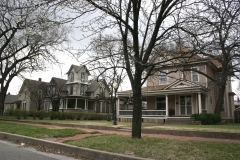 The building is nominated for its association with the growth and development of Hutchinson, particularly its association with the 1880s building boom, and as an excellent example of Italianate commercial architecture. 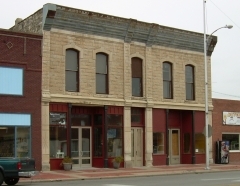 The Hoke Building was commissioned by Hutchinson real estate speculator and agri-businessman James S. Hoke and built in 1910. It is a four-story commercial block with retail shops on the lower level and office spaces on the upper levels. 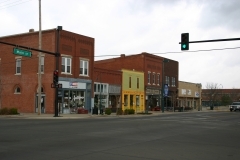 Its construction corresponded with the city's transition from farm town to agricultural and industrial powerhouse. 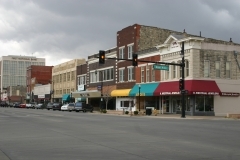 As Kansas farmers turned to wheat as a cash crop, Hutchinson found itself in the center of Kansas wheat country. 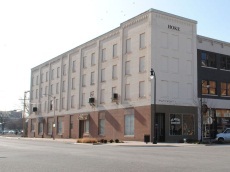 The Hoke Building provided office space for a growing list of wheat-related businesses and organizations. 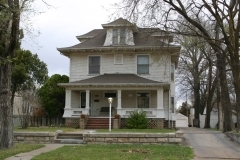 Among the original occupants was the Hutchinson Board of Trade, a grain exchange founded in 1910. In addition to Hoke's real estate office, the building housed eight grain company offices in 1912. 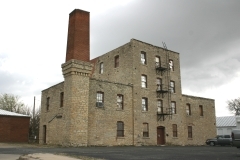 The building also housed agricultural industries that were non-grain related, including a lab operated by bacteriologist Martin Dupray that developed animal inoculations and tested water and feed. Following the death of James Hoke, the building changed ownership several times until the Great American Life Insurance Company bought the building in 1952. 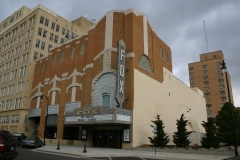 The building was nominated as part of the "Commercial and Industrial Resources of Hutchinson" multiple property listing for its local commercial significance.